American serial killer Dorothea Puente was also known as "Death House Landlady" and was born on January 9, 1929, and died at age 82 on March 27, 2011, in Chowchilla, California, United States. Dorothea had a boarding house in Sacramento, California in the 1980s where she would cash her elderly and mentally disabled boarders Social Security checks for her personal use. She was arrested on November 11, 1988, for killing between 9 -15 people from 1982 - 1988 and was sentenced to life in prison. Dorothea Helen Puente was born on January 9, 1929, in Redlands, California with birth name Dorothea Helen Gray her father Jesse James Gray who died in 1937 of tuberculosis. Her mother Trudy Mae passed away in an automobile accident about a year after her father"s death resulting in Dorothea to be sent to an orphanage. Dorothea later lied to people about her life, telling them that she had two siblings and they were born in Mexico. Dorothea married at the age of 16 in 1945 to Fred McFaul who was a soldier. Fred and Dorothea two daughters between 1946 - 1948, but she did not keep any of her daughters as she gave one daughter up for adoption and sent the other daughter to live with family in Sacramento. Dorothea had a miscarriage in 1948, and her husband left her in late 1948. Dorothea was ashamed that Fred left her and started to lie to people stating that Fred died of a heart attack not too long after they got married. She was sentenced to a year in prison for forging checks but received parole six months later. Dorothea became pregnant not too long after her release from jail by someone she did not know and gave that baby up for adoption when she was born. Dorothea married Axel Johanson in 1952 and stayed married to him for about 14 years although their marriage was turbulent. She was sentenced to serve 90 days in the Sacramento County Jail in 1960 for owning/managing a brothel. Dorothea was sentenced to serve another 90 days in jail not too long after her release because she was arrested for vagrancy. Dorothea began a criminal career after her release that increasingly grew. She began working as a nurse"s aide who cared for elderly/disable people in private homes and shortly after started managing several boarding houses. Dorothea and Axel Johanson divorced in 1966. She then married a man 19 years her junior named Roberto Puente in Mexico City, but their marriage only lasted two years. Dorothea got married to a violent alcoholic name Pedro Montalvo in 1976, but their marriage lasted only a few months. Dorothea started scouting out bars for senior men who might be receiving benefits and forged their signatures so that she can steal their money. She convicted of 34 counts of treasury fraud and sentenced to jail but received probation and decided to commit the same crimes again. California Court of Appeal records stated that Dorothea rented an upstairs apartment at 1426 F Street, Sacramento in 1981. The three murders she was convicted of in 1993 happened/occurred at 1426 F Street, Sacramento. Dorothea Puente was like and disliked in the boarding where some tenants called her mean, and others praised her for the home-made meals they would receive. It is estimated that she received about/over $5,000 per month from her fraud. She began renting out space in her apartment and the murders followed shortly after. Dorothea business partner, 61-year-old friend Ruth Monroe began living her in 1982 but died not too long after from overdose of codeine and acetaminophen. Police ruled Ruth death as an accident after Dorothea told police that Ruth was very depressed because her husband was terminally ill.
Dorothea was convicted of three charges of theft and was sentenced to five years in prison on August 18, 1982, after 74-year-old pensioner, Malcolm McKenzie accused her of drugging and stealing from him. Dorothea and 77-year-old retiree Everson Gillmouth from Oregon became pen pals, and they corresponded with each other frequently. Dorothea was released after serving three years of her five-year sentence in 1985. Everson picked her up from prison with his 1980 red Ford pickup, and wedding plans were shortly after being made. The couple opened a joint bank account and rented an upstairs apartment at 1426 F Street in Sacramento where they paid $600-a-month. Dorothea Puente hired handyman Ismael Florez in November 1985 to install wood paneling in her apartment and gave him Everson"s 1980 red Ford pickup in which was in great condition. Dorothea told Ismael that her boyfriend who is in Los Angeles does not need the car anymore and then asked Ismael to build 6 feet by 3 feet by 2 feet box so that she can put her "books and other items" in. Dorothea filled the box and asked Ismael to take the box closed with nails to storage. She accompanied him and told him to stop the vehicle when they approached Garden Highway in Sutter County and asked him to help her dump the box on the river bank because the box contained unnecessary items and was junk. A fisherman saw the box located about three feet from the river bank on January 1, 1986, and told authorities who discovered a severely decomposed body in the box and was unidentified for about three years. Dorothea continuously cashed in Everson"s pension and wrote several letters to his family so that they would not get worried and told them that he is sick and that is why he has not contacted them. She continued her room and board business where she gained about 40 new tenants including drug addicts and abusive tenants. Dorothea gave the tenants stipends from the money she collects from them by getting their mail before they do and cashing their benefits for them. The neighbors became suspicious of Dorothea when she hired a homeless alcoholic who is known as "Chief" to be her handyman. Dorothea and Chief dug the basement leaving Chief to wheel borrowed out soil, and other rubbish but the basement floor was covered with a concrete slab, so there had to be a reason. Chief demolished the garage not too long after in the backyard and put in a new concrete slab, but it did not take long for Chief to disappear after he finished the hard labor. A social worker reported to authorities that Dorothea"s tenant Alberto Montoya who has schizophrenia and is developmentally disabled missing on November 11, 1988. Police noticed that the soil on the property was disturbed and continued their investigation which resulted in the findings of 78-year-old Leona Carpenter"s body and seven other bodies later. Dorothea was charged with nine murders but was convicted of three murders and was sentenced to two life sentences. Dorothea Puente was not suspected of the murders until she was allowed to leave the property and decided to flee to Los Angeles, where she made friends with men in a bar that recognized her from TV reports and notify the police. Dorothea"s trial was moved to Monterey County, California and the trial ended a year after it began in October 1992. The jurors took several days to determine whether to execute Dorothea or what punishment to give her. She was finally sentenced to life in prison with the possibility of parole and was incarcerated at Central California Women"s Facility (CCWF) in Chowchilla, California. She died at the age of 82 on March 27, 2011, in prison in Chowchilla. 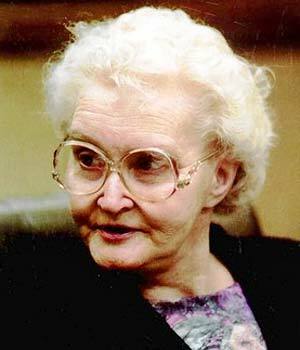 Dorothea Puente serial killer is a female serial killer. Death House Landlady is a female serial killer.